PROBIOTICS - WHAT ARE THEY AND DO WE NEED THEM? Your gut should contain trillions of 'friendly' bacteria and forms part of the microflora in your digestive system. This microflora is essential to our well-being and topping up with 'friendly' bacteria is a natural way to help keep your digestive and immune systems functioning correctly. This may help in the management of some gut-associated conditions e.g. IBS, antibiotic associated diarrhoea, traveller's stomach, eczema, leaky gut syndrome and inflammatory bowel disease. The 'friendly' bacteria assist in the process of digestion, and even manufacture some essential nutrients. When our gut ecology is in balance, we thrive. When it's not, our health can suffer. When the beneficial bacteria decline, due to heavy antibiotic use, and remember that this is not just antibiotic medication, but also antibiotics found in our meat, milk and water, an overgrowth of abnormal bacteria can allow infection, deplete some of the B Vitamins and transform essential fatty acids into damaging saturated fats. It will also encourage conditions such as inflammatory bowel disease and interfere with the breakdown of bile acids and oestrogens, setting up the potential for cancer. Just before birth, a human infant has a sterile gastro-intestinal tract, with no microflora whatsoever. The development of the flora of a newborn depends on whether a vaginal or cesarian birth took place and whether the child was breast or bottle-fed. In breast-fed children the flora of the gastro-intestinal tract quickly becomes dominated by a species of friendly bacteria called bifidobacteria. If left undisturbed, this community of flora remains stable until the child is weaned, when the changover to solid food marks the development of typical adult flora. However, in bottle-fed babies, a different microflora develops in early infancy. There is a large body of evidence to suggest that this difference in the makeup of the flora is connected with the greater susceptibility of bottle-fed infants to infection by harmful microbes. It appears that the beneficial bacteria may actually interfere with the ability of some pathogens to adhere to the gut lining, by covering all available surfaces and this is reported to limit the colonisation of dangerous microbes such as e. coli, candida and giardia. The beneficial lactobacilli bacteria is believed to produce substances that actually suppress the growth of potentially harmful organisms and slowing the growth of pathogenic microbes. For people who have a problem in digesting dairy products, (lactose) the consumption of fermented milk products or the addition of l. acidophilus can be quite helpful. Lactose digestion is greatly enhanced by the addition of l. acidophilus, whether the milk is fermented or not. Diets high in animal fat normally tend to raise cholesterol levels, and increase clogging of the heart arteries. 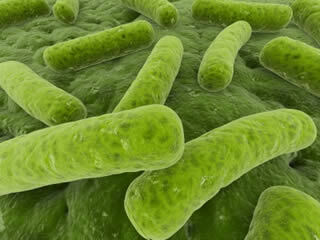 However, research is showing that supplementation with acidophilus/bifidus can reduce the levels of 'bad' cholesterol. Research has also shown that supplementing the diet with l. acidophilus may protect against cancer. The l. acidophilus converts potentially harmful nitrates and nitrosamines into substances less likely to harm us. Anyone over the age of 60, and individuals with a compromised immune system, should supplement with a daily multi-strain probiotic. Your gastro-intestinal tract contains more than 500 different strains of bacteria, living in different places and performing different functions. When it comes to 'topping up', you need to ensure you are giving your body the best chance of getting the bacteria it needs, and it is, therefore, essential to supplement with a multi strain probiotic. This will contain different strains of bacteria that will colonise the small and large bowel. I would recommend Ecodophilus by BioNutri. This can be obtained from The Natural Dispensary on 01453 757792 and costs £9.95 for a months supply. Each capsule contains 10 billion viable cells, including lactobacillus kefir, acidophilus, bulgaricus and lactis. It is dairy and yeast free and is suitable for vegetarians. If you have any queries regarding Probiotic supplementation, please e-mail me.